While it’s critical we be informed of such hostility against Christians, it’s as important to be informed of God’s unstoppable saving work. The latest blog from Ravi Zacharias balances our view–and should move us to prayerful repentance over the devillish lies America is exporting. In America now it seems fashionable to mock evangelicalism and try to silence the gospel message. But Jesus is growing His Church across the globe, and historic movements are taking place from China and Korea to the Middle East. Years ago I read a powerful essay by my favorite essayist, F.W. Boreham, called “The Candle and The Bird.” With his brilliant sweep of knowledge of God’s working in history, Boreham traces how revivals have spread from continent to continent, how when the brilliant flame of God’s moving in the hearts of people seemed to be dying out in one place there would be a fresh spark igniting a God-breathed revival elsewhere. From Germany through Zinzendorf to England through Wesley and Whitfield to Wales and Scotland, and then to the Evangelical Awakening in America, it is fascinating to see how God has done His work through times and seasons and locations. Boreham distinguishes between extinguishing a candle and chasing away a bird: when you extinguish a candle, the light goes out; when you chase away a bird, it sings its song from another bough. Hence, his title “The Candle and The Bird”—a beautiful metaphor. Ironically, in a powerful piece published some years ago in his very popular column in England, self-proclaimed atheist Matthew Parris said that after he had revisited Malawi where he had grown up, he was convinced against his ideological commitment to atheism that what Africa needs is not more aid but the gospel of Jesus Christ, which alone changes hearts. He admitted to speaking with a schizoid struggle, yet he strongly believed that the only hope for Africa was the Evangel: the gospel of Jesus Christ. He ended his article in The Times of December 27, 2008, “Removing Christian evangelism from the African equation may leave the continent at the mercy of a malign fusion of Nike, the witch doctor, the mobile phone and the machete.” That, from an atheist, is profoundly powerful. The bird still sings its songs. We hear it and see it as we travel—and I would be remiss if I did not say many thanks to all our supporters who make it possible for our team to get to these places. I just started reading it, but I couldn’t get past the Introduction without commenting. Listen to Doyle . . . This reminds me again of Psalm 2:4a about the nations who rage against the LORD and his Anointed . . . Radical Islamists like ISIS and antichrist governments like Iran may vow to destroy Jesus’ followers, but their plots (according to Doyle and history) produce the opposite results. Why? “Because Jesus’ message of love and reconciliation thrives in a climate where hostility, danger, and martyrdom are present. Persecution and the spread of the gospel are as inseparable as identical twins. Suffering propels the growth of Jesus movements around the world” (Doyle). Growth vs. Gospel. The term “church growth” implies we’re playing the numbers game. Counting people is biblical (see Acts), but only as a sign that the Gospel is spreading and converts/disciples are being made. That’s how I’m using the term here. Not bodies in a building, the Spirit of Christ in lives. How sobering! Apparently the higher the cost of following Jesus the deeper the devotion to following Jesus! Oh, we do suffer. Chronic physical pain. Broken heart over a broken marriage. Loneliness from losing a loved one. This is real suffering— but suffering common to fallen humanity. It’s not suffering because we follow Jesus (even though it genuinely, and sometimes cruelly, tests our faith). Nevertheless, despite the growing threat to religious freedom, I’d guess 99% of us aren’t suffering for Christ. Action Suggestions. So what can we do? Pray for persecution? That’s not being a fool for Christ, that’s just being a fool! Here are three sensible suggestions . 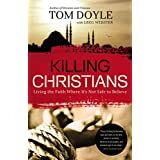 . .
Read Killing Christians or Dreams and Visions (both by Doyle and available from Amazon), or other books or websites about persecuted Christians (Voice of the Martyrs-http://www.persecution.com/.) Media news says little about Christian persecution. So most of us are only vaguely aware of what’s happening. We’re left with a truncated view of the Body of Christ and presume all Jesus’ followers live in a “Disney World” somewhat resembling ours. Consequently, we’re blind to the life-and-death war that following Jesus drafts us into. Mentally compare our Jesus’ following with theirs. Even when we are informed, it’s easy to dismiss what we read. How much greater impact when we measure our life of following Jesus with the lives of believers in the Middle East! Let’s read, but then imagine our following Jesus potentially costing our job, our home or our lives. How would we respond if Jesus invited us, “Come, follow me and die”? Pray in daily devotions for the persecuted church. Lois and I have established that habit. It reminds us of our suffering brothers and sisters everyday. 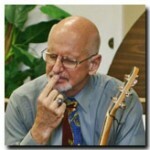 And who knows what the Lord might do in response to our little prayers for a “little” believer in Iran? Ask the persecuted church to pray for us. We may have beautiful air-conditioned buildings and overflowing libraries of books and the freedom to argue secondary theological points. But what I’m reading tells me they have the heart, the passion and the devotion to Jesus that we’ve lost (if we ever had it). So maybe when we send our missionary offering each month, we should send this humble prayer request . . .
to pray earnestly for us in America? We so need the faith and passion and life-or-death devotion to Christ they have! Suppose you were Muslim and Jesus appeared to you in a dream and called you to follow him? 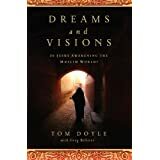 Dreams and Visions is a collection of stories from the world of Islam by Pastor Tom Doyle. 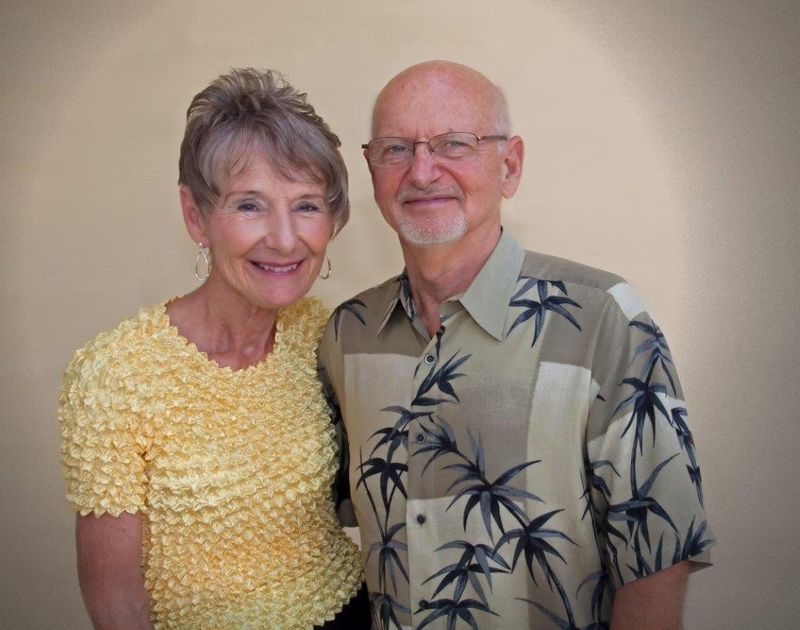 Doyle has spent 11 years as a missionary in the Middle East and Central Asia. During this time he’s encountered a staggering number of Muslims who were first introduced to Jesus through a vision or dream so powerful they eventually turned from Islam to Christ. Conversion can result in execution, but these stories tell how former Muslims have found hope and peace from knowing Christ (based on Amazon web site—link below to order book). COMMENT #1. 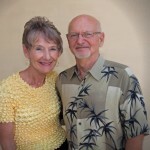 Skeptical about dreams and visions? Remember: Pharaoh had them (Genesis 41). So did Isaiah (Isaiah 6) and Daniel (Daniel 7; 8; 10) and Saul of Tarsus (Acts 9:1-19). In fact, in his Pentecost sermon, the apostle Peter quoted the prophet Joel . . .
and your old men shall dream dreams . . . (Acts 2:17). According to Joel and Peter, visions and dreams are characteristic of the last days—the days between the first and second comings of Christ. This may make us uncomfortable because of the abuses we’ve seen of spiritual gifts. Or certain doctrines might drive us to reject this. But God’s saving work is more important than our comfort. And when we get to heaven we’ll find that all our doctrinal systems had little holes here and there! COMMENT #2. God must be laughing. Preposterous to presume a country can “close” itself to God! the LORD holds them in derision (Psalm 2:1-4). COMMENT #3. These miracles don’t eliminate missionaries. When Jesus commissioned disciples to go and make disciples of all peoples, he promised to be with them (Matthew 28:18-20). This is Jesus being “with them” in a surprising and truly wonder-full way! COMMENT #4. We can be encouraged to pray and to give and (if the Lord calls) to go. Islam seems an impenetrable mission field. Radical Muslims are spreading their doctrines with force and violence: “Convert or die!” But Jesus is Lord! So let’s pray! Let’s give! And, if the Lord calls us, let’s go! We know how it all ends! John’s vision in Revelation 5:11 will be fulfilled . . .